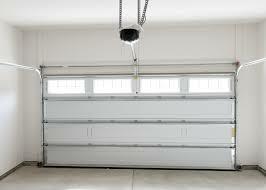 If the garage door reverses when it should be closing, the automatic opener may be having a serious problem. The wall switch may be damaged or one of the sensors, motors or remotes may be malfunctioning. Don’t worry; we’ve got you covered! We are experts when it comes to fixing automatic openers. Our team is standing ready to assist you immediately and can repair the automatic opener for you today. In case of an emergency, you can take advantage of Hayward Garage Door Services’ 24/7 repair help. In most cases, we are the only company that can offer same day assistance in Hayward, California. And the best news is that our prices are extremely affordable. Don’t think that just because we have the lowest rates, our services are subpar. We take great pride in our customer service – all of our solutions are of the highest possible quality! We are a locally owned and operated company that understands that your money and time are precious. We are ready to give you all the information you need if you are looking to purchase a new opener or an entire garage door. Of course, our team of professionals would be more than happy to install the new opener or door for you at your earliest convenience. To get your free price quote, call us now!